2nd Pompeian Style, c. 80–20 BC. 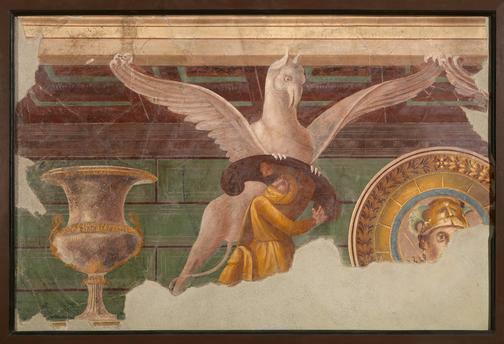 Trompe-l’oeil wall fresco with griffin and Arimaspi. Fresco, 122,3 × 180 cm.